We woke up to a winter storm warning.. I can't believe how fast it is coming down-snowed in, in less than 30 minutes. It is nice, not to feel the need to run to the grocery at the first hint of bad weather. I remember my grandparents having a stocked pantry, as well as my parents-being prepared is not a new concept. 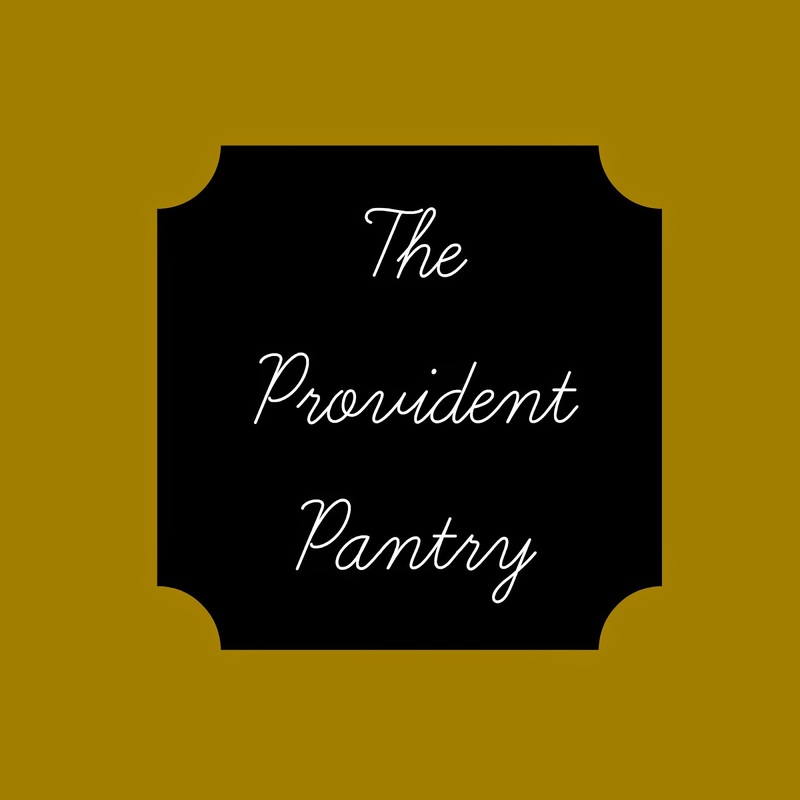 I think it is a concept that has gotten lost over the years with the convenience of 24/7 grocery stores, but there is nothing like a winter storm to remind us that having a stocked pantry may be a good idea. Especially, when you watch the news and see the food aisles at the store getting cleared out in a matter of hours. I am grateful that I was taught to see the wisdom in a well stocked pantry. I try to store a variety of items. Store bought canned goods to fill in what we didn't put up ourselves. The focus of this post is on Freeze Dried Foods. I do store some freeze dried foods that we purchase in the #10 cans. One of the biggest advantage to adding freeze dried foods to your pantry is longevity. They can last up to 25 years!! (with proper storage) You can't say that about most foods. ~Freeze Dried foods retain about 97 percent of their nutrition and Dehydrated about 93 percent. ~They can take up less space if you have limited pantry space. ~I have found that most of the foods taste great, when used in my everyday recipes. The only "con" I find is the cost. They can be a little pricey. I add items as they go on sale. Emergency Essentials does Group Orders, where each month they offer several items at a very reduced rate as well as free shipping. Honeyville Grain is another place I purchase items, they have very competitive prices, and they email me coupon codes several times a year. I recently taught a class on keeping a well stocked pantry and one of the questions asked, was "How do we eat it" in regards to dehydrated/freeze dried foods. Answer-Anyway you want! You just have to add water first. When you buy freeze dried green peppers, they are green peppers-they just need to be hydrated with water. The freeze dried peaches, meats, cheese? The same thing. My favorites to have on hand are the dehydrated eggs, milk, butter, and shortening. I use these items in master mixes, which add some convenience foods to my pantry without the "unwanted" ingredients you find in the mixes at the store. They also come in handy, when you go to grab an egg and realize you are out. Or when butter is 4.00 a pound this week, I will use the dehydrated butter when baking. They work as a great solution for longer term storage on those items, that don't always store well. I also like the freeze dried fruits for smoothies, and homemade instant oatmeal packets. I like variety in my pantry and these make a great addition! Do you stock any Freeze Dried of Dehydrated Foods in your pantry? I'd be so thrilled if you'd link this post up with us over at Country Fair Blog Party, which is a once a month link up. We'd love to have you share some of your posts with us! We haven't done freeze dried yet, but we have a well stocked pantry. I made the mistake (I didn't realize it was super bowl Sunday the next day AND that a storm was due in that night) of going to the "big city" to pick up a few things. *smack forehead. * Panicking people are silly. If we lost power, how would they heat those frozen prepackaged microwavable meals anyway!?!?! LOL Thanks for sharing at the (mis)Adventures Mondays Blog Hop. I can't wait to see what you share this week!